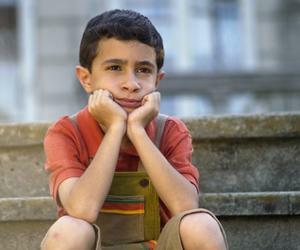 Cuban TV and video director Rudy Mora calls on viewers to fight for dreams from a trip to fantasy in his first movie, "Y Sin Embargo...", starring actors from the children''s theater company La Colmenita. The motion picture, which was premiered in a crowded Charles Chaplin theater, combines elements of fable, fantasy and music and bring together a cast of top actors, including singer-songwriter Silvio Rodriguez, who appears in a cameo performance. For 86 minutes, Mora brings viewers into an imaginary world. "Periods or places are not defined, but there is a great fusion of cultures. I wanted to make a film with a universal projection, which will connect the same with an Iranian, a Frenchman or an Argentine," he recently told Prensa Latina. The need for human beings to wonder about things even though they have no answers; the right to dream, justice, friendship are very present in this motion picture, which tells the story of Lapatun, a child who creates a fantasy story on flying saucers and humanoids to justify that he is late to a test. With an excellent photography by Angel Alderete, the cast includes Laura de la Uz, Eslinda Nuñez, Adria Santana (recently deceased), Laritza Vega, Osvaldo Doimeadios and Manuel Porto, who did a splendid performance.